There are a number of things you can do to improve your poker game. It should be noted that the education in poker has a big learning curve, where at the start a little knowledge will go a long way. As your game develops, the improvements that you do make will become less dramatic relative to the amount you will be winning. Below is a short list of the top ways for improving your poker game and taking it to the next level. Question every play you make. This may seem very obvious and I am sure many of you reading this article will have read a few poker books. This is the #1 way in which to expand your knowledge of poker as a new player, because you will be learning the strategy and theory of what a professional poker player has learnt in possibly 20+ years of playing the game all in a matter of hours. You may think of it as a bit of an expense at first, but the knowledge you will gain from them will be so beneficial that they will have paid for themselves after a few hours at the table (or even in one hand depending on the stakes you play). Poker books would be my top recommendation for any new player looking to build a solid strategy for poker. Question every bet/play you make. Why did I make that bet? What do I want to happen after I make this bet? What will my opponent(s) think of that bet? What kind of hand does my opponent have if he calls/raises? In the questions above I have used the word "bet", but this can be substituted for any play such as check/raise/call etc. Every situation in poker is unique and should be evaluated based on the information you have received up to that point. By taking time and questioning each move, you can make better plays in each situation and make more money in the long run. By not thinking about the play your about to make you not only may be making a bad play, you will not be improving your game either. How are you going to work out if you made the correct play or not if you don't analyze every decision? A thinking poker player is a winning poker player. Trust me on that one. Visit the strategy videos for free videos, or the training sites section for pro training site reviews. There is also an impressive free training site called PokerTrikz. This is a great place to start if you are a lower stakes player and just getting started with training videos. TagPoker.co.uk also has a bunch of really good free HUSNG poker training videos aimed at lower stakes players too. When playing online poker, you can use Texas Hold'em software that will record each hand into a database and analyze the way you play. The software can tell you a wealth of information about your game such as how much you have won, which hands you lose money on, if you pay too much to make your draws and so on. You will be surprised at how much these programs can tell you about your game and they are definitely worth investing in. The two major programs on the market today are Holdem Manager and Poker Tracker. These are reputable programs and both offer free trial versions for you to test them out. I highly recommend that you try these programs and see for yourself the possibilities for improvement they have to offer. 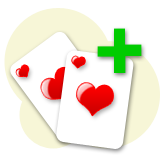 Very few regular, winning online poker players go without using some sort of tracking software like Holdem Manager. There are many forums on the Internet (including the Texas Hold'em forum on this site) with members that share the same passion for poker as you, therefore these are great places to ask questions and read other players’ opinions on the game. But be sure not to take everything you read as gospel, as many of the members will still be learning the game just like you and simply offering their interpretation of the way some situations should be played. There are no easy ways to becoming a better player, but it is very true that you get out what you put in. If you put a lot of effort into your game then this will be reflected in an increasing bankroll. Be sure to be humble in your ability as even the best players will learn something new from time to time, you may be surprised at just how much you can learn if you try.